Premium users can contact developer by skype or email directly. Guaranteed response within two working days. You can find skype and email in your personal cabinet. Check https://bablosoft.com/shop/BASPremium for more details. I made a purchase for 6 months premium, and my credit card is charged for that, I have proof, but I received an email from your payment provider and they only say to contact them by phone. My account is NOT upgraded to premium. There is no option to contact you to show my proofs, and I dont want to share them publically here, so what can I do? I firstly tried to pay with paypal but was denied twice, and my balance was not charged during those 2 attempts. But in my 3rd attempt I changed payment option to my credit card and made payment sucessfully (my card is charged), but I received that same email like first 2 times, and my account is still not premium. Please check that and instruct me what should I do. We would like to assure you that PayPro Global has not charged your account and no funds have been received from you. Due to standard banking procedures, your funds are likely to have been reserved by your credit card issuer (bank), with the purpose of ensuring the necessary amount for your purchase. As your order has been declined, you should expect your money to be automatically refunded within 10 business days. For further details regarding this situation please contact your credit card issuer (bank) directly. Should you require further assistance, please do not hesitate to contact us - we will be happy to help. already from my paypal so I dont see what is problem. My crdit card is also verified and has limit of 20.000$ per day. What do you suggest me to do to get that premium package, Please respond to my appeals. 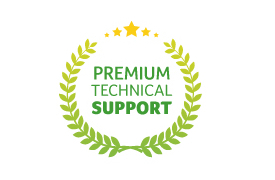 You mean in support forum section not here on premium support? I finaly did it right, seems that I didnt populate all fields in order form. So Im enjoing BAS premium features now. I uploaded my scripts but these scripts are still pending for approval! Can you please tell me how long does it take to get approval? I paid for Premium just to set license key to scripts that I wanna give it to others! So where is the premium support? I paid for premium a few weeks ago. Website say I am premium, but software says I am not. What to do? How do you set the 3 machines for use with Premium license? Support of german characters (ä,ö,ü,ß).